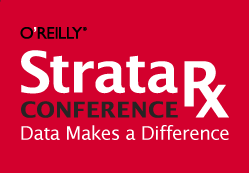 San Francisco, CA (Sep 26, 2013) – Metric Insights announced today at the O’Reilly Strata Rx Conference in Boston, that University of California, Irvine (UCI) Health Services has become a leading data-driven healthcare organization using Metric Insights’ Push Intelligence Platform. A UCI case study and demonstration of the Metric Insights solution can be seen at Metric Insights’ booth#216 in the exhibit hall at the O’Reilly Strata Rx Conference in Boston from September 26th-27th. UC Irvine Health Services has become a leading data-driven healthcare organization through a number of evolutionary steps over the past decade. They have implemented Metric Insights’ Push Intelligence Platform to deliver critical information to executives and administrators from all their Big Data and operational data sources. Metric Insights proactively alerts users to significant change in the metrics that are relevant to them and provides that information with context around why changes happened. With new data-driven regulations challenging healthcare organizations’ bottom line, the Metric Insights Push Intelligence platform ensures that healthcare professionals have instant access to the information they need to conform to those regulations.